This webcam is currently offline! Trogir: Marina Trogir, 0.3 mi. Seget Donji: Marina Baotić, 0.9 mi. Split: Airport Split, 2.8 mi. Split: Marina - Kaštela, 7.9 mi. Split: HD Stream Seaside Promenade, 9.2 mi. Split: Riva Hrvatskog Preporoda, 9.4 mi. Your browser unfortunately doesn't support HTML5-videos. 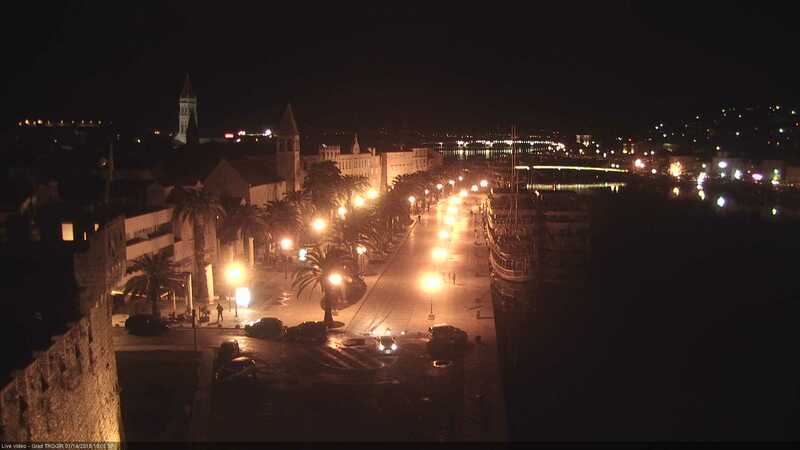 This webcam Trogir with the theme City Views was added on July 13, 2012 and is operated by Grad Trogir. It got 158834 visitors since then. Shouldn't this webcam work or should the link be wrong please report that here. You can add this webcam here to myCams.